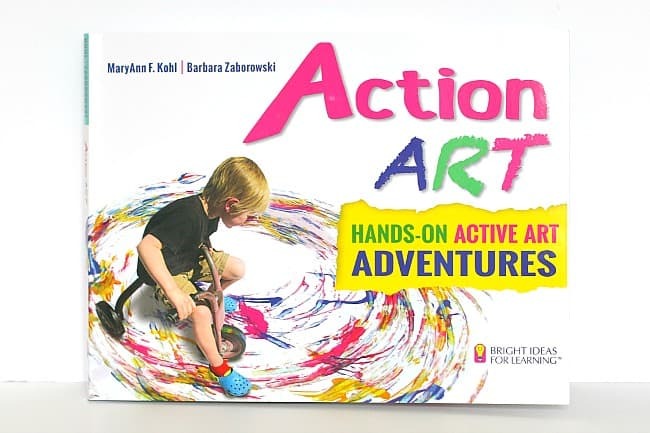 Action Art: Hands-On Active Art Adventures by MaryAnn F. Kohl and Barbara Zaborowski is definitely a must-own book for anyone who has children or works with children and believes in the importance of process art! Disclosure: I was sent a complimentary copy of this book to review. All thoughts and opinions are definitely my own. See my full disclosure policy here. This post contains affiliate links. When I heard that Action Art was about to be released, I could not wait to get my hands on a copy and share my thoughts with you. It’s definitely a resource you’ll want to add to your collection. 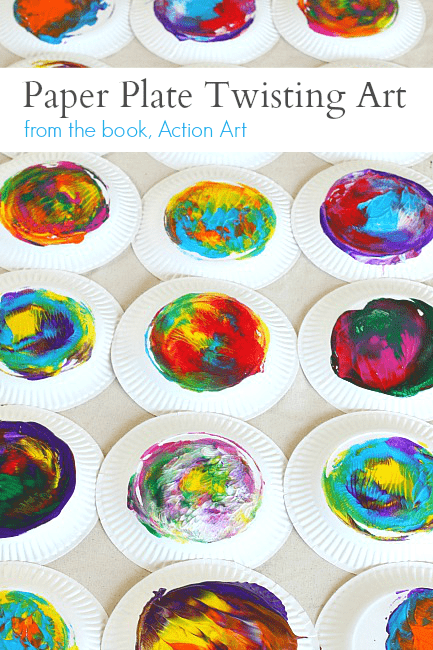 In this book you’ll find over 50 art activities (AND over 100 additional variations) that will inspire all kinds of creativity in children. 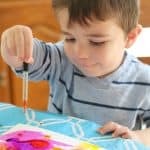 Action art involves art activities that are hands-on, where the focus is on the process rather than the finished product. 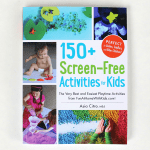 The art projects in this book all involve physical activity in some way, whether jumping, swinging or tossing. For a book to make it into my collection of favorites, it has to be organized in a way that is simple and easy to use. The organization of this book is just what I’m looking for: the chapters are color-coded and organized by various movements. 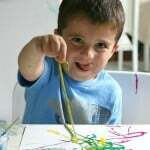 Each activity also includes icons providing further information such as prep involved for the adult, the ease of experience for the child, and which art techniques are used in the activity. The whole setup is something my type A personality is all for! But what really makes this book a winner is the amazing art activities you’ll find inside. 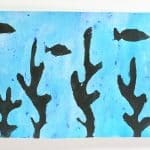 There are projects that kids of all ages will absolutely love, and most importantly, activities that will help children grow their creative confidence in themselves. When I first received the book, Action Art, in the mail, I sat down with the kids to see what they thought. Let’s just say basically every page was met with smiles and happy exclamations and was given a folded corner- the kids excitedly wanted to try everything! So, we decided to dig in…. starting with paper plate twisting! 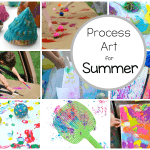 Every time I provide my kids with the opportunity to create art all on their own, I’m reminded of how engaging and important process art is. 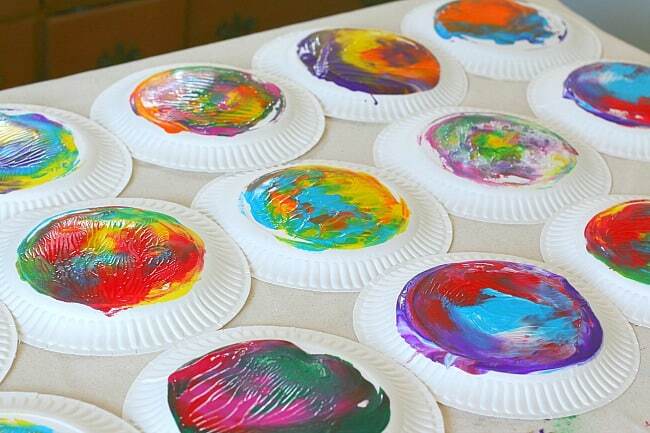 Watching the kids explore and create art using paper plate twisting from the book was one of those moments- pure joy and and excitement. 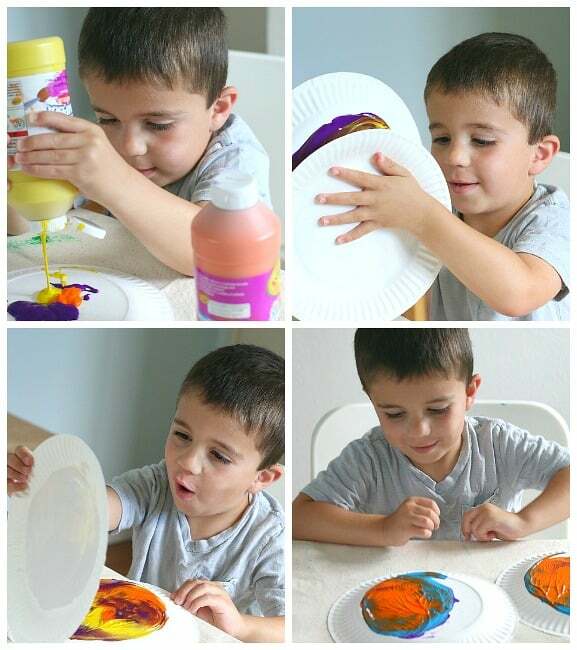 From all aspects of the paper plate project, from squirting to twisting, Theo was completely immersed in the process of creating! 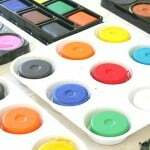 He just couldn’t get enough and explored all kinds of color combinations! 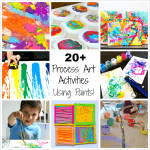 We had so much fun with just this one process art project from the book- I can only imagine all the fun that awaits us in the days to come! Where can I get a copy of Action Art? 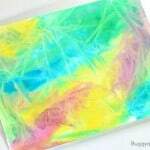 You can find Action Art online at Amazon, as well as some of our other favorite books from MaryAnn Kohl like Preschool Art, Science Arts, and Scribble Art! This book is definitely one you’ll want to add to your collection and would also make a great gift for any parent, grandparent, or teacher! 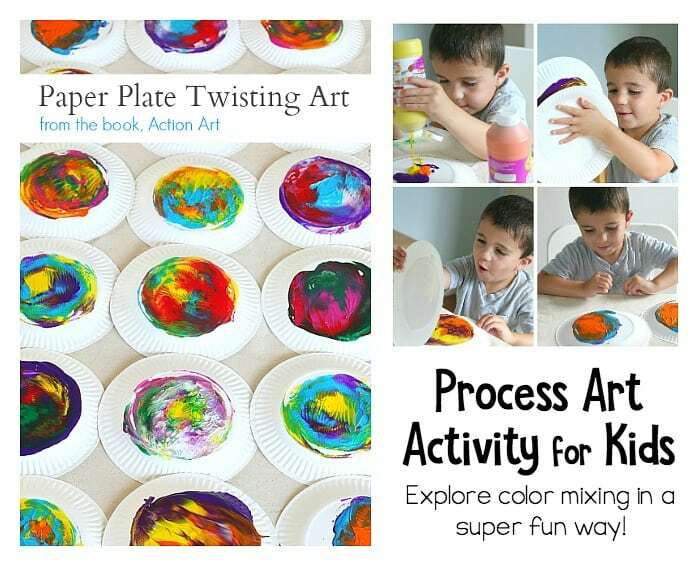 I’m so delighted with your review of Action Art … thank you for setting up the twisty paper plate action activity… isn’t it great? I’m thanking you from the bottom of my heart. And I’m so so so happy your kids are creating with ideas from the book — the best part of being an author about art ideas for kids. I just saw this on Pinterest. What a fabulous idea! I’ve pinned it — and I’m going to do with my grandkids!